How to Protect the Domain Name? Here is how. The saddest part of the society is, today the people on the internet feel insecure and hapless. This in turn has traumatized the self-confidence of the internet marketing professionals. Now the users ask in distress,” Can’t we trust the World Wide Web”. The answer is yes, but with few precautions, one can leave no room for infringes. Here are some tips on how one can protect oneself from the unscrupulous invaders. Registered Trademark- Basically there are two modes of obtaining a trademark registered and unregistered. There are innumerable trademarks that are registered every year, but few of them are legitimate. Moreover, it the first and foremost strategy to defend yourself, from the cyber squatters. So How to Protect the Domain Name? It is necessary to get the domain registered in the name of company or some senior management staff. If you have registered in the name of I /T member, then it makes easier for him/ her to administer it. Simultaneously, if there is any drift in the relationship, then it is difficult to claim the ownership. As technically it is registered in the name of an employee. Ensure that the domain name is registered in the name of two individuals, so that the changes or alterations are notified to both of them. Also, don’t let the domain name expire right in front of you because they are just like the record books. It is quintessential to buy domain name with variations, so that the valuable traffic is not diverted. Spending $7 is better than diverting the traffic to your competitor’s website. Another trick is; if the domain name is of more than one word, consider using hyphens for instance, womanstaysafe.com and woman-stay-safe.com. Even try to register the singular and plural versions like tablet.com or tablets.com. Ensure that the spellings of the domain name are correct for instance, midnightblue.com and midniteblue.com. Additionally, an individual can register in the name of business acronym like ntf.com. May be it’s the way the people would start referring to your business. 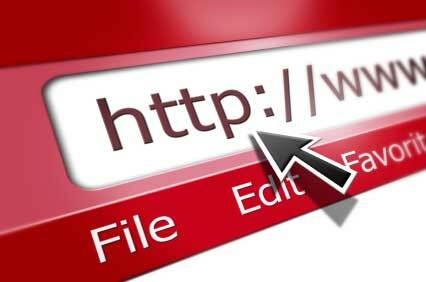 To avoid infringement; you should try considering various domain names like .com, .org, .net, .edu, etc. Also try to use. Info and .biz. If you are venturing the business abroad, it is necessary to get country extensions like .uk, .ind. But don’t be baffled up with so many extensions. The neat idea is to add .edu extension; if you have an education based website. The last resort is to fight back; if the cyber squatters infringe the trademark. But remember the lawsuits can dig a hole in your pocket. There are two ways to fight back- either you can sue them under Anti cyber squatting Consumer Protection Act (ACPA) or take refuge of Uniform Dispute Resolution Process (UDRP) controlled by the Internet Corporation of Assigned Names and Numbers (ICANN). In order, to sue the cyber squatter, you need to prove that the person had a bad intent and used your or similar domain name to cause a harm. The process of arbitration is cheaper and does not require the crutch of attorney. But there are certain pitfalls it may take a huge time to resolve the case may be six to twelve months. Hence, people traverse to filing law suits, the court may grant injunction within 6 weeks. Sometimes, it is in your best interest to buy the domain name. In such a situation, the person will be ready to sell the domain name at much cheaper price in contrast to the arbitration costs. Last but not the least; it is necessary to put oneself in the shoes of a customer because generally the businesses have a closed view. But by knowing how people browse help you in finding the right domain name. For example, it is important to keep the domain name to whatever you sell.com. necktie.com is a more valuable brand than victorianecktie.com. In nutshell, the domain name is an investment for the life time. The best way to defend yourself is to be proactive. How Does Toner Cartridge Recycling Work?